Designed especially for parents expecting twins, triplets, or more! 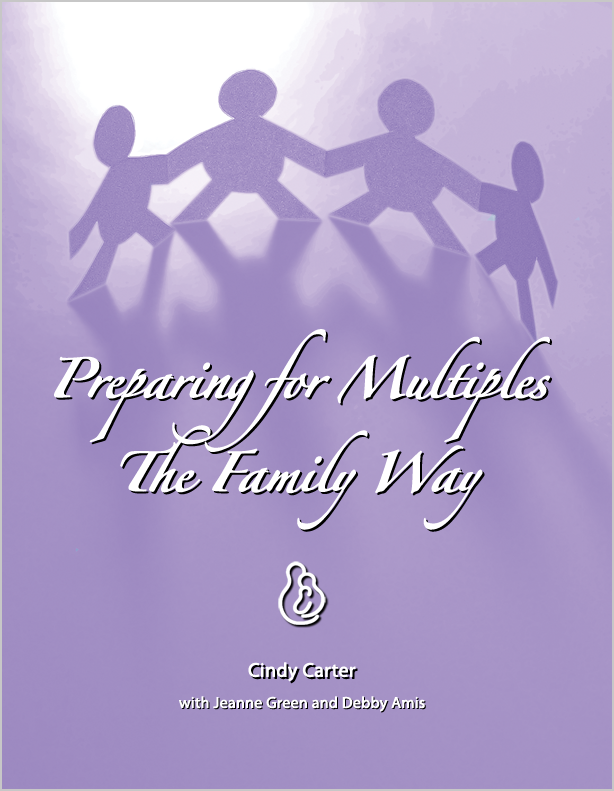 Written by mother of twins and registered nurse, Cindy Carter, along with Jeanne Green and Debby Amis, authors of Prepared Childbirth – The Family Way, this comprehensive handbook covers pregnancy, birth, postpartum, and breastfeeding with special sections on possible complications and preterm births. This 136-page handbook is appropriate for parents to read on their own or to be used as a teaching aid in childbirth classes. We hope to help parents make informed choices by sharing encouragement and information from other parents of multiples as well as information from the latest research and trends.